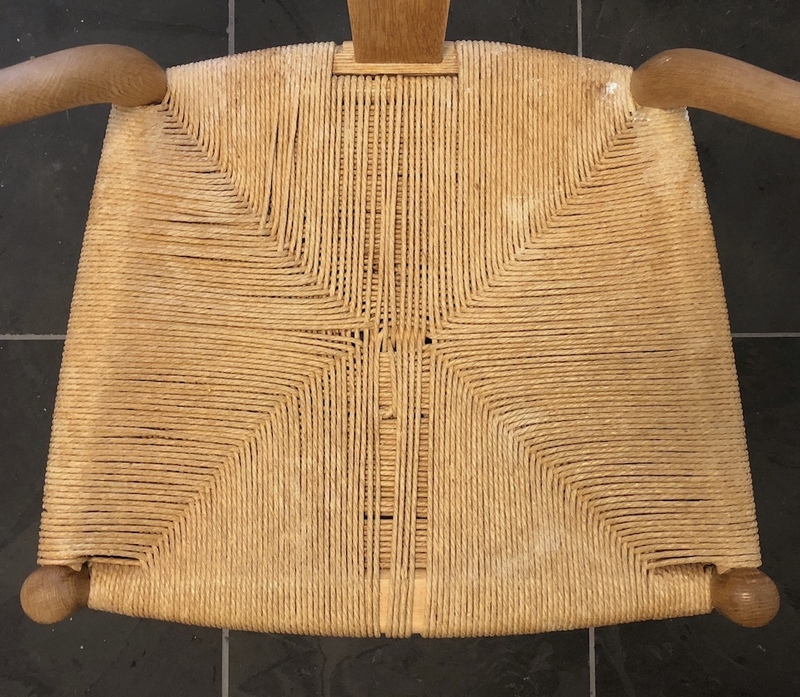 Recently I restored a set of eight of these beautiful oak wishbone chairs. I thought the owner said they had a wax finish but I was happy to discover that it was just soap. The frames looked pretty good but did need cleaning up a bit. All I needed to do was gently scrub them with plain water to rinse off the old soap, let them dry thoroughly, then soap them up again! This was one of the better seats. Most of them had some broken strands and this same spreading in the center. 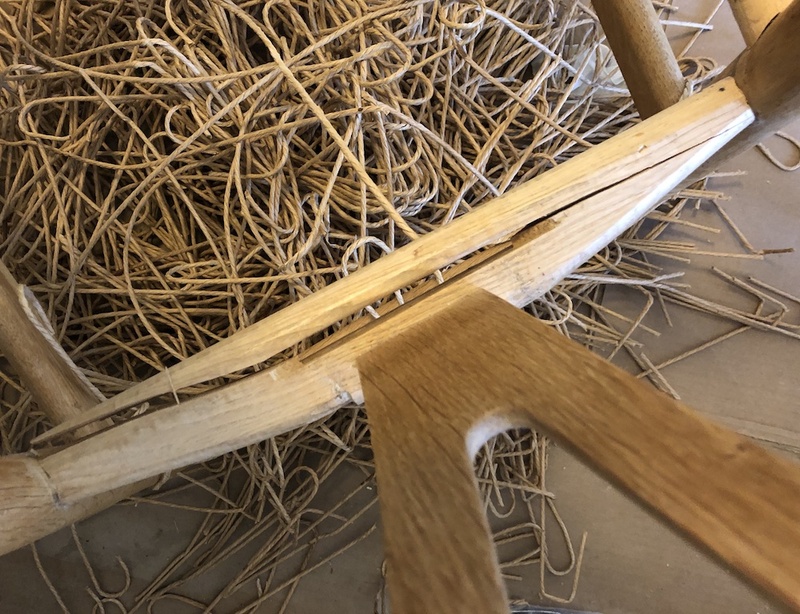 There’s no way to fix that short of reweaving. The new seats should last a few decades. 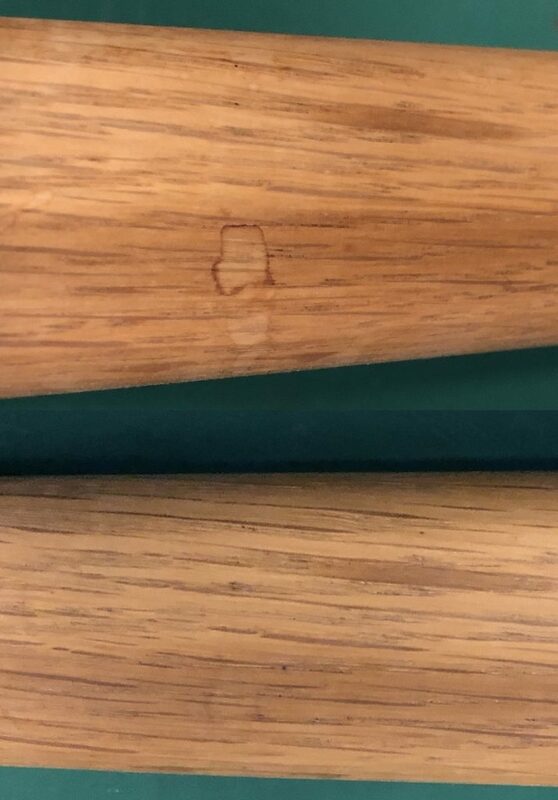 I got a little surprise on the last chair after stripping off the old cord. 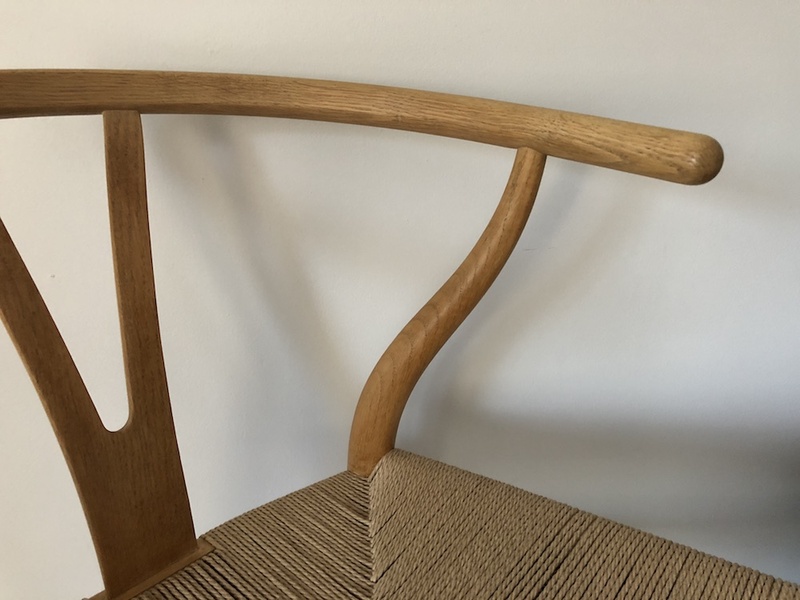 The oak rail at the back of the seat had split cleanly along the grain. Luckily neither tenon was involved. 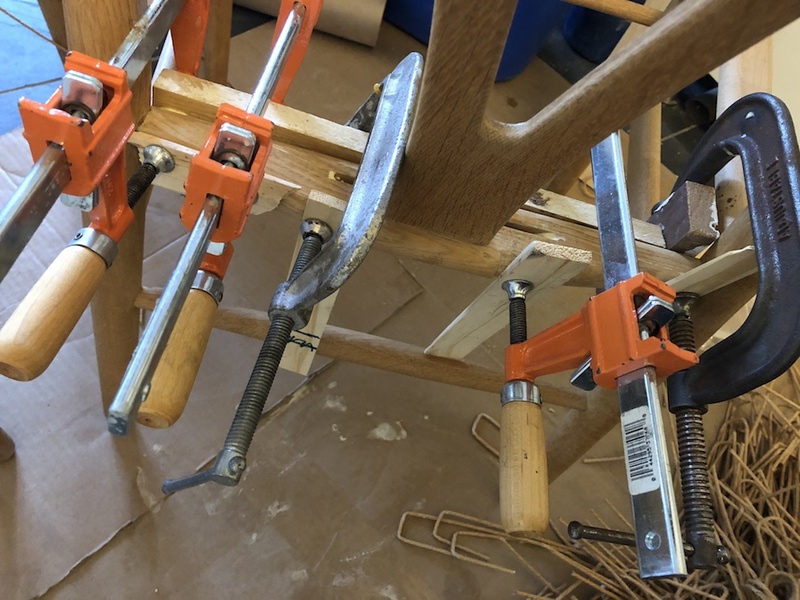 A little yellow wood glue and a few clamps did the trick. (Special thanks to my friends at Design Addict for their repair advice.) The rail is as good as new now. Soaping is just a matter of grating Ivory soap and mixing it with hot water to a fluffy consistency. Apply it to the wood and wipe off the excess, leaving a thin film that will dry. Then just buff. 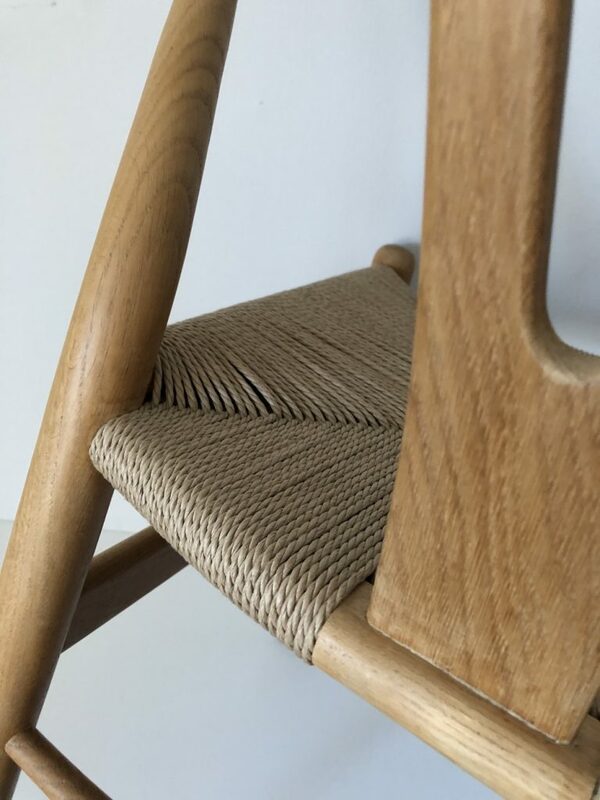 It’s appropriate for any light-colored wood and gives it a soft sheen and a very silky feel. A soap finish also keeps future grime from working its way into the pores of the wood. When the wood starts to look a bit grimy, all you need do is give it a light scrub with water, let dry, then soap up again. I use white 3M Scotch-Brite pads from Ace Hardware (the green ones are easier to find but sometimes leave green color behind). Light stains like the one above easily cleaned off with soap. You can still see a faint outline of the spot at close range but it’s pretty light! 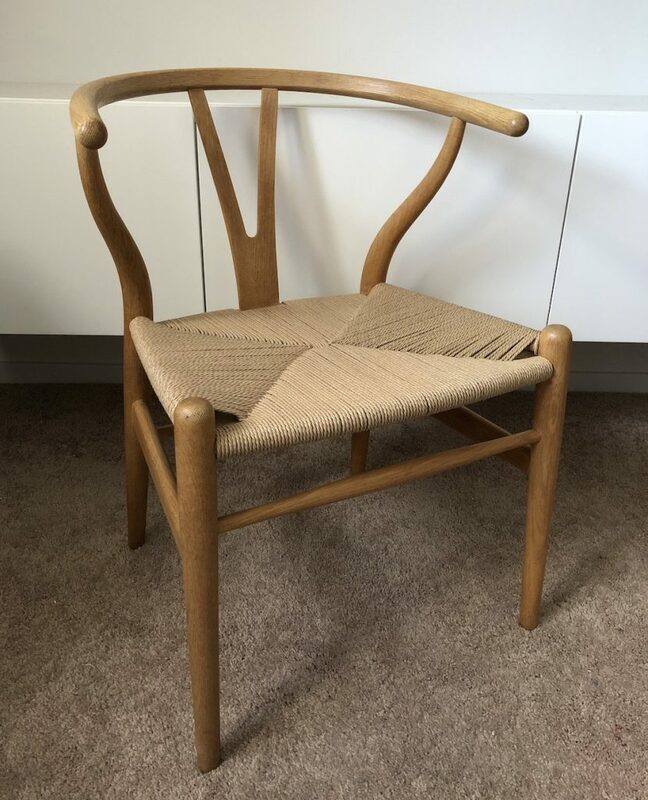 This entry was posted in Danish chairs, mid-century modern, Uncategorized and tagged soap finish, Wishbone chairs. 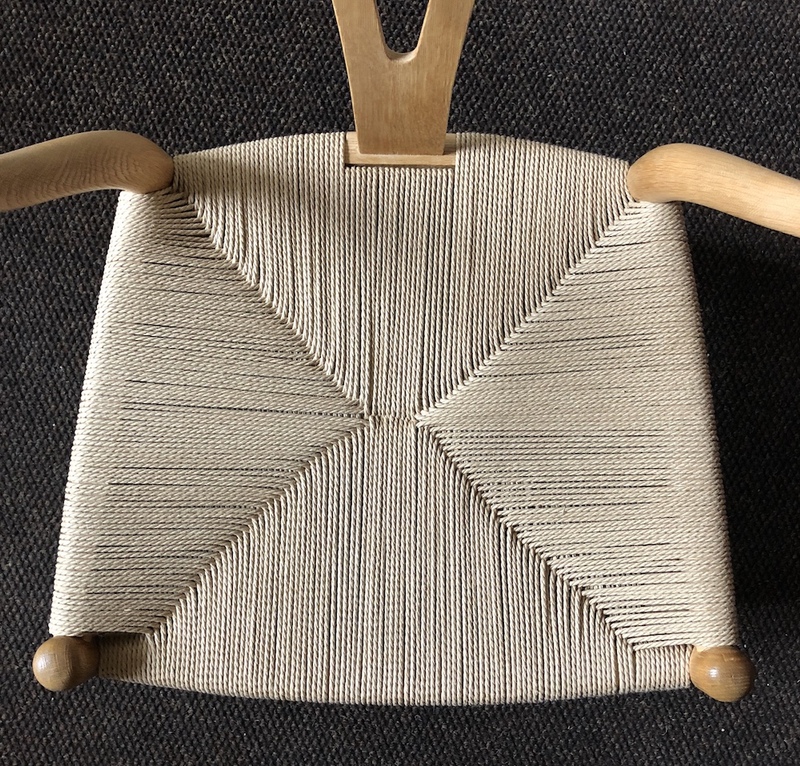 Hans Wegner chair. Bookmark the permalink.